Why should I see an esthetician? Esthetics is the application of various treatments to the skin, to maintain its health and vitality. Estheticians are trained in skin wellness, helping their clients balance oil and moisture content and achieve a healthy, youthful complexion. As well as various facial treatments (described in more detail below), they commonly also perform body treatments such as salt or sugar scrubs, moisturizing or slenderizing body wraps, hair removal techniques such as waxing or threading, and hand/foot treatments to rejuvenate the skin. A variety of treatments and products are used to protect skin from environmental hazards and combat fine lines, wrinkles, and a dull, uneven skin tone. Estheticians are also skilled in managing conditions such as acne, rosacea, eczema, and dry skin, to name just a few. And finally, skin care treatments are wonderfully relaxing and rejuvenating. If smooth, healthy skin is your goal, visiting a skin care professional can benefit you. What’s the difference between dermatology, cosmetology, and esthetics? Dermatology is a branch of the medical profession, practiced by licensed physicians who specialize in disorders of the skin. Esthetic practice specifically excludes diagnosis, prescription, or any other service, procedure, or therapy that requires a medical license. If you’re being treated by a dermatologist, your esthetician can provide complementary and support therapies. In addition, estheticians are trained to recognize early signs of many medical conditions affecting the skin, and will refer you to a dermatologist in such a case. Cosmetology is the study of beauty treatments including nail care, hair care and styling, makeup application, skin care and more. Esthetics is one branch of cosmetology; some estheticians work in other branches of cosmetology in addition to their skin care practice. Techniques used by estheticians include facial steaming, wrapping, exfoliation, waxing, pore cleansing, extraction, and chemical peels. Creams, lotions, wraps, clay or gel masks, and salt scrubs are used. Machines may also be used to help deliver high-tech services. Chemical peel: An exfoliation process, very effective in treating a large range of skin concerns such as aging, sun damage, acne, mild scarring, improving overall skin brightness and evening skin tone. Peels can be light, moderate or deep. Light peels require no down time from work or normal activities. Moderate peels may require a day or two of down time, and deep peels can require a week or more to allow the skin to fully heal. Estheticians who are not working in a medical setting perform light to moderate peels only. Deep peels are performed by a physican, or under a physician’s supervision, for your safety. Exfoliation: The removal of dead skin cells manually (scrubbing, brushing, or using a system such as microdermabrasion), with a chemical peel (a product that causes dead skin cells to shed) or with an enzymatic product that digests dead skin cells. Extraction: This is the process of deep cleansing the pores, either manually (using gloved hands and cotton or tissue around the fingers, with gentle pressure to remove the impacted pore) or using a metal extraction implement designed to clear blocked pores. This can also include the use of a lancet (a small sharp blade to lift the dead cells of the skin prior to extraction). Facial: A facial is the most popular treatment performed by estheticians. It is a good way for your therapist to get a good understanding of your skin prior to suggesting more aggressive treatments. A facial generally includes makeup removal and skin cleansing, exfoliation by mechanical, enzymatic or chemical means, steaming, extractions, facial massage, a treatment mask, serum/moisturizer and sunblock. For most people, facials can be scheduled every four weeks, although your therapist may recommend a different schedule based on your individual needs. It is always a good idea to schedule a consultation appointment prior to your first treatment, especially if you are new to esthetic treatments. This gives you and your therapist a chance to discuss your goals and expectations for the first visit, and long term goals for the future. During a consultation, your therapist will go over an extensive intake form, and most likely do a cleansing of the skin followed by a detailed skin analysis. This will give your therapist the information she/he needs to create an individualized treatment plan, both for a series of professional treatments and recommendations for products you can use at home. Much of the success of maintaining a visible improvement after treatment depends on consistent, correct home care. Your esthetician is trained to select the products that will most benefit your skin, and to advise you on how to maintain your professional results between visits. Like medical or dental care, following the right daily regimen at home is essential if you are to get the most out of your visits to a professional. Your skin care treatments should be provided by a properly trained professional. Don’t hesitate to ask your skin care therapist about her background, training, and experience—especially as it relates to the treatment you are considering. Your therapist is a professional member of Associated Skin Care Professionals. These members have been validated as meeting their state’s licensing credentials and/or core training requirements, and agree to follow a code of ethics which ensures you’ll be treated responsibly and with the utmost respect. ASCP also provides its members with comprehensive resources that allow them to keep up with changing trends, making certain you’ll receive the most up-to-date therapies available. 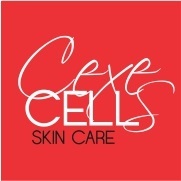 © Copyright 2019 CexeCells SkinCare. All rights reserved.